The one-button minute-counter from the 1930s is impossibly scarce, but here are two of them - both "new old stock". While the Cosmograph Daytona is synonymous with Rolex – with several examples amongst the most expensive Rolex watches ever made – the Zerographe is perhaps the most intriguing Rolex chronograph. 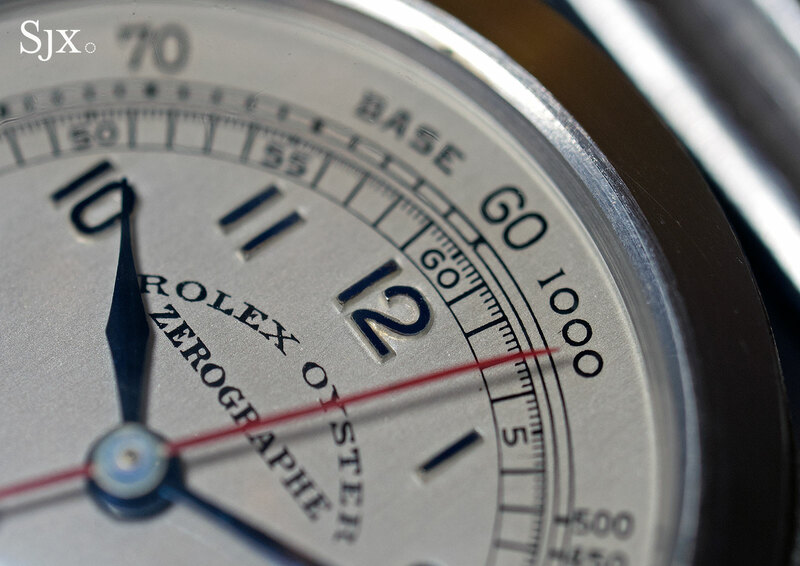 Not to be confused with the functionally identical but far more common Centregraphe, the Zerographe is arguably the first ever Rolex Oyster chronograph, with the earliest example dating to 1937. And it’s powered by the first in-house Rolex chronograph movement, a 10 1/2”’ hand-wound calibre. The movement preceded the next in-house construction, the calibre 4130 inside the current Daytona, by over 60 years. 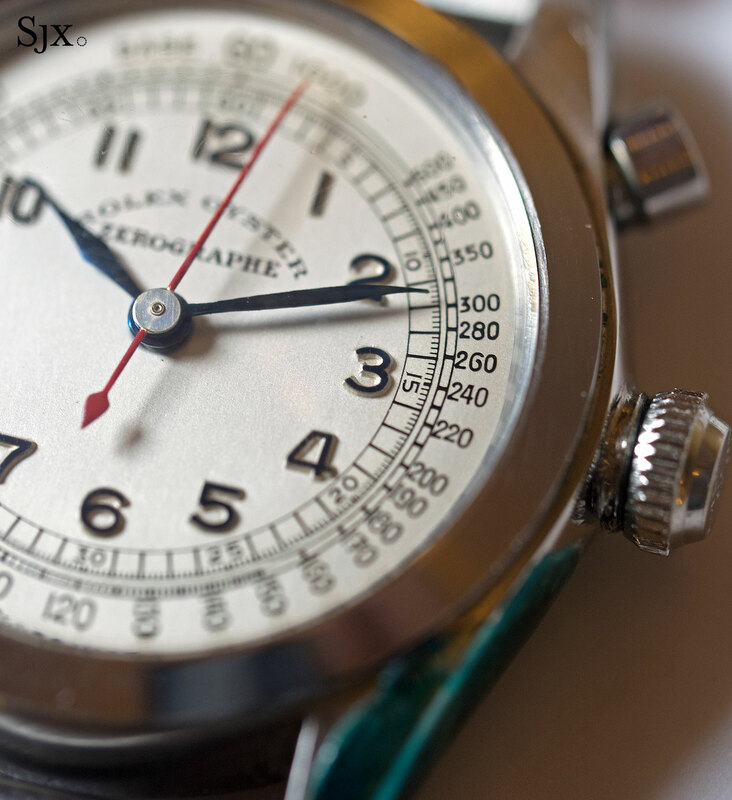 But the Zerographe is not a chronograph in the conventional sense. Instead it has a constantly running central seconds, with the pusher at two o’clock serving to reset and instantaneously restart the centre seconds – a flyback mechanism that allows for the timing of short, consecutive periods. 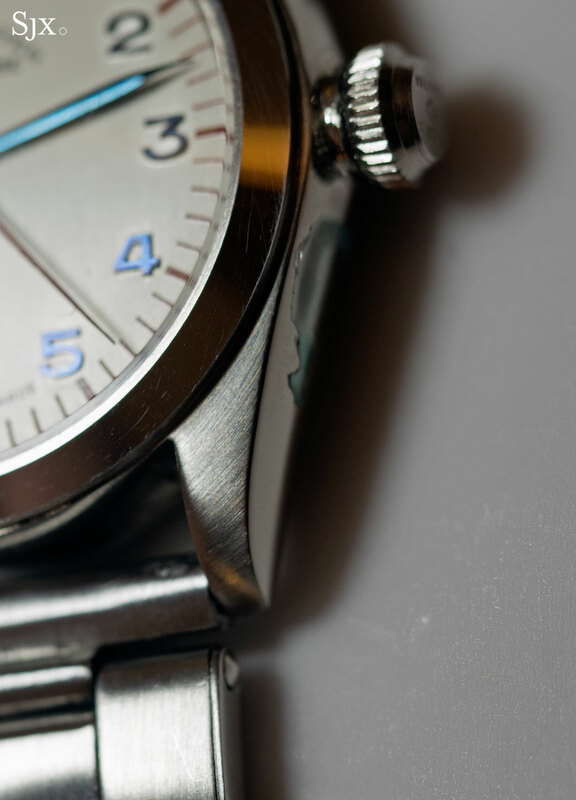 Pushing the button sends the seconds hand to 12 o’clock, where it immediately resumes its motion, unless the button is held down, which keeps the seconds hand static at 12 o’clock. Two model references of the Zerographe are known: the ref. 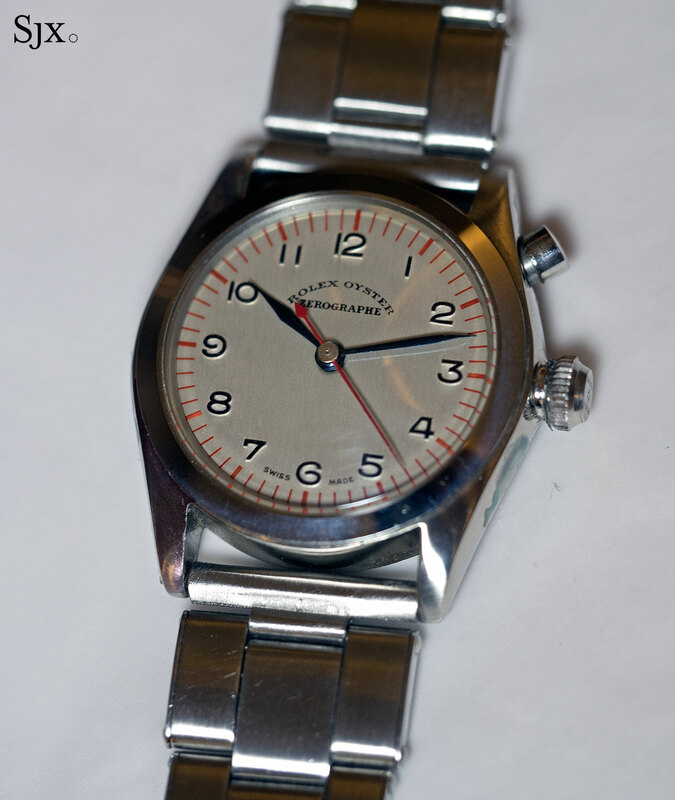 3346 with a rotating, elapsed minute bezel, and the ref. 3890 with a smooth bezel. But between them they are ridiculously rare, with as few as 12 ever having been made according to Christie’s in 2013 while back in 1989 Antiquorum cited a figure of less than 50. Typical of watches of the period, the Zerographe is dinky by modern standards, with a case that’s just 30.5mm in diameter for the ref. 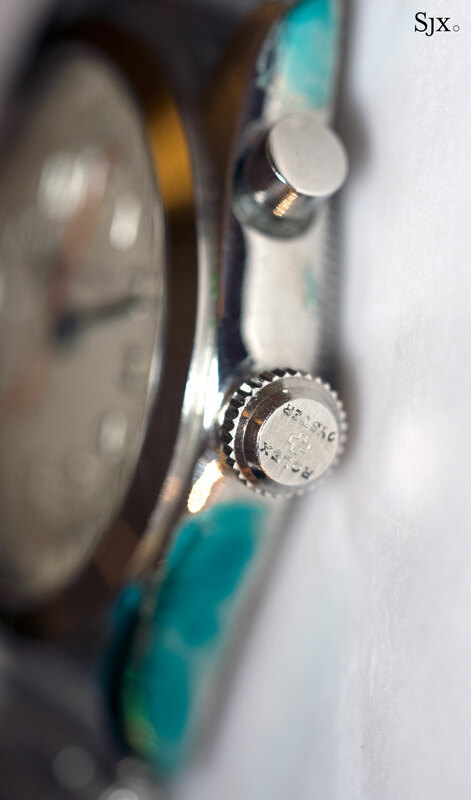 3890, or 32mm for the rotating bezel-ref. 3346. If it were larger, say 37.5mm like the Daytona “Paul Newman”, the Zerographe would be valued at multiples of what it’s worth today. Only three Zerographes have been publicly sold to date, and as is the case with many rare Rolex and Patek Philippe watches, all of them were once sold at Antiquorum in its Osvaldo Patrizzi heyday. The most prominent is the ref. 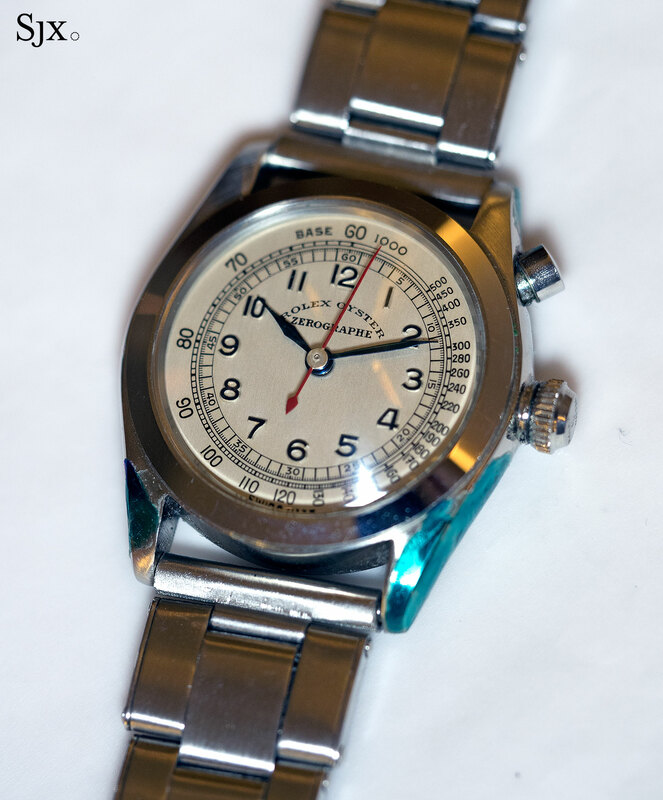 3346 with a black “California” dial (pictured above) that has been sold at auction three times: Antiquorum in 1992 for the equivalent of about US$33,000 at the time, Christie’s in 2013 for SFr387,750, and most recently Phillips in 2016 for SFr389,000. 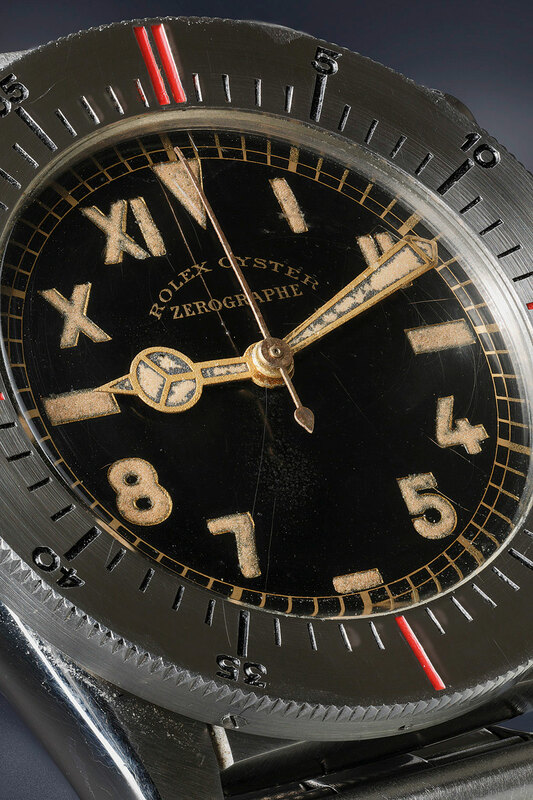 Which makes it all the more significant that Phillips’ Hong Kong watch auction – the same sale with Parisian retailer Laurent Picciotto’s collection – includes a pair of Zerographe ref. 3890. Both have different dials, but incredibly enough, are new old stock. 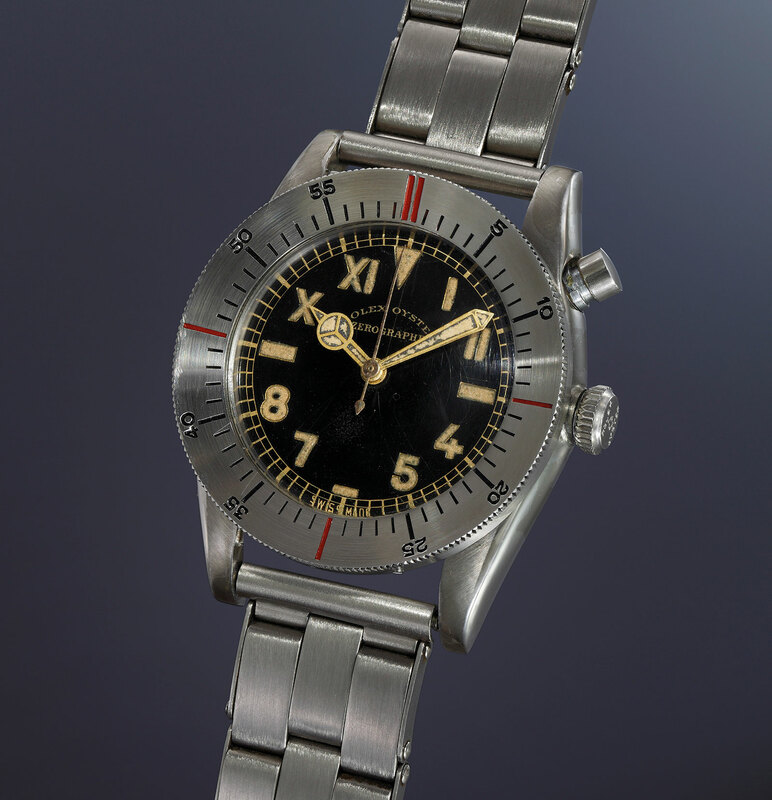 Furthermore, to correctly use a well-worn phrase in the world of watch auctions, they are fresh to market, having never been publicly sold before. According to industry legend, a tiny number of new old stock Zerographe watches were discovered in a mysterious location some years ago, two of which are now shown here. Both watches are a mere 87 case numbers apart. The first is lot 1094, a Zerographe ref. 3890 with a tachymetric scale on the dial. It’s in pristine condition, still retaining some of the protective green lacquer on the case. 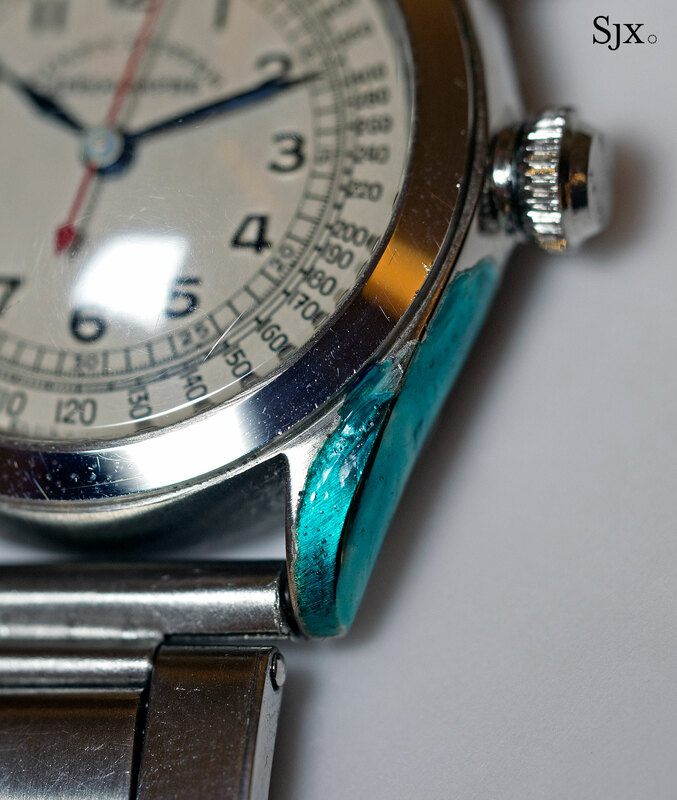 Unusually the hour numerals are stamped and in relief, topped with blue enamel to match the hands. And characteristic of watches of that era, the printed lettering on the dial is fuzzy and imprecise. 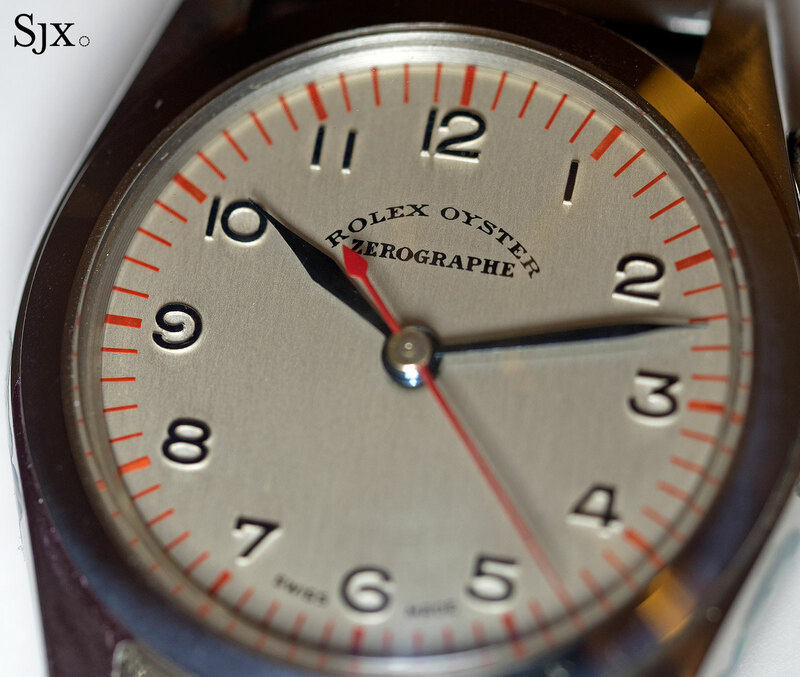 The second is lot 1095 that’s fitted with a clean and functional dial featuring tall red hashmarks. 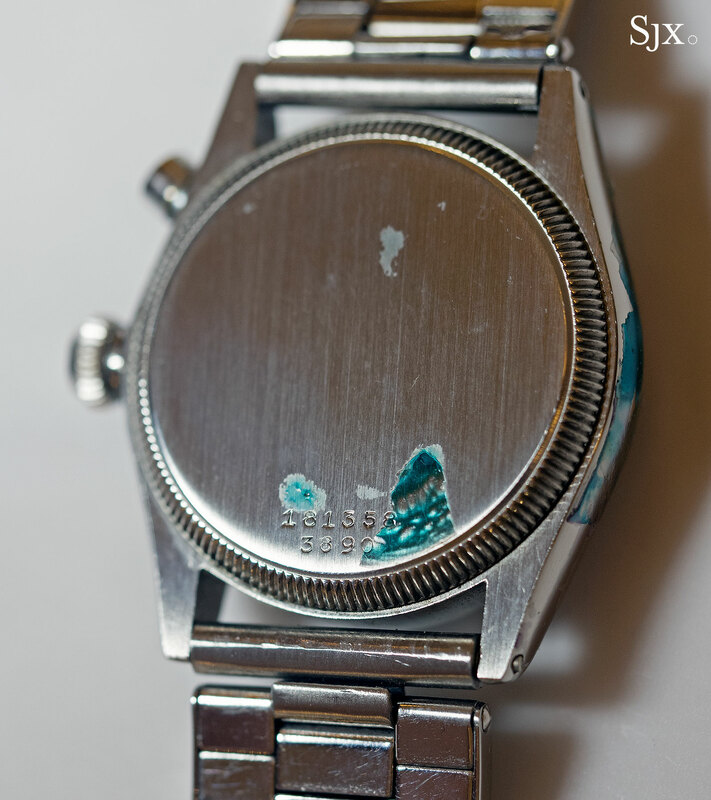 Like the preceding example, this is in mint condition, with the green varnish still present on various spots of the case. Both Zerographes carry an estimate of HK$1.2m to HK$2.0m, or US$150,000 to US$250,000. They can be seen here in the full catalogue for the sale, which takes place on May 30 at the Mandarin Oriental in Hong Kong.